Do you watch movies made from your favorite books? Do you ever feel sad when you finish a book – get to the final page. So much so that you must open it back up immediately to page 1 and begin again. What does that say about your life. Is real life so dull that you must climb between the pages and re-visit this new cast of characters/friends? There are times in my life when I have done just that. It’s a loop. Like the movie groundhog day, I read a series of books. Love it when I can find a series that already has 8 or more books. A series lets you get to know the characters over time – they become so finely drawn, so believable you can hear their voices. That’s the kind of book, you almost hate to watch if made into a movie because you have already cast these characters in your mind. I mean Tom Hanks as Professor Langdon – NOT! He was more Sean Connery to me. 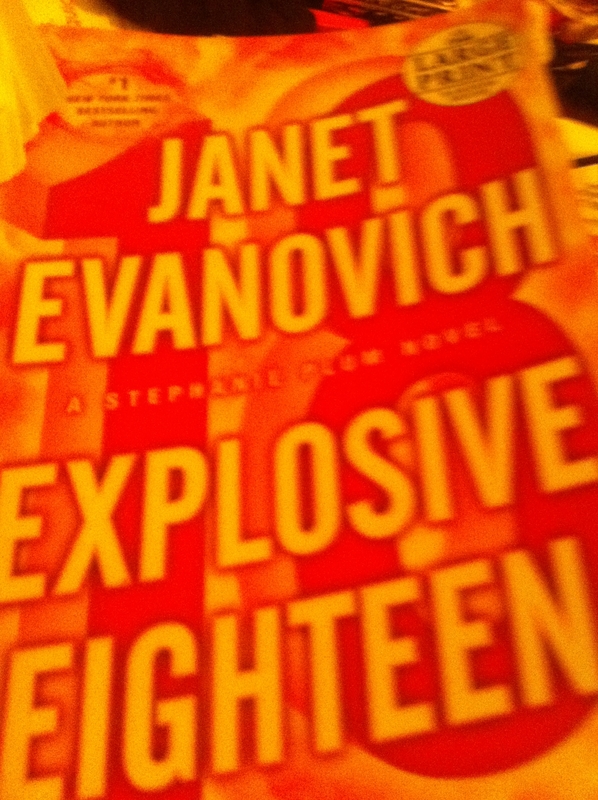 I came late to Evanovich’s Stephanie Plum series and read 15 straight before having to wait for 16, 17, and now Explosive 18. They’ve made a movie of number 1 – ‘One for the Money’ and I’ve agreed to go see it with some trepidation, as these characters are fully formed in my mind’s eye. With the exception of Stephanie Heigl as Plum and Sherri Shepherd as Lula, I think it’s almost totally miscast. The two leading men do not exude the sexiness of my ‘Ranger’ and ‘Joe Morelli’..I’ve agreed to go to ‘One for the Money’, but I don’t think ‘Two for the Dough’ will make it into film. Previous Have you scanned your old family photos? Next Do you know your genealogy?